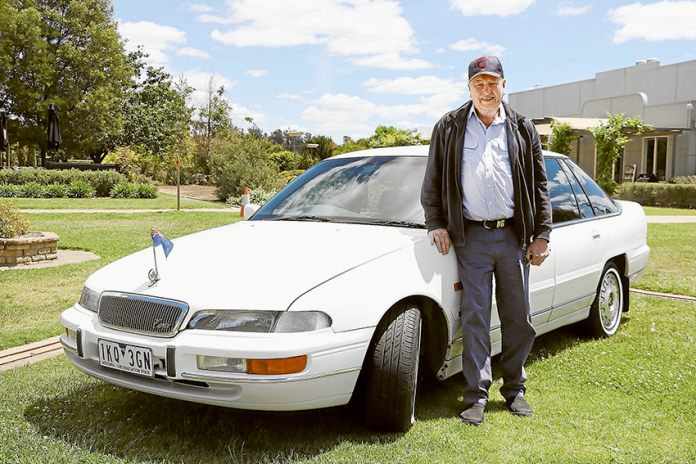 HIDDEN HISTORY… Proud owner of the 1995 VR Holden Caprice, Peter Russell. The embassy car drove Australian Prime Minister, John Howard and other politicians around Hong Kong for four years. Photo: Katelyn Morse. AS SOON as I saw this Caprice, I knew I’d be in for a good yarn. Boldly propped beneath the Australian flag at Emerald Bank, the 1995 VR Holden Caprice seemed unassuming; but scratch a little at the surface and a myriad of hidden details began slowly unveiling. 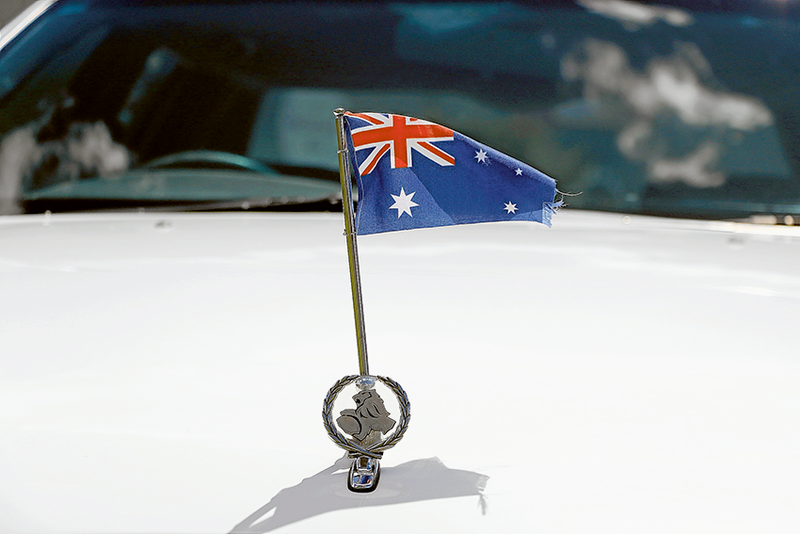 The only distinguishing feature on the exterior was a tiny Australian flag attached to the bonnet via a tiny embassy flag post. Standing no taller than 15 centimetres and triumphantly and chaotically flapping in the breeze, this minor detail provided a mere clue to unlock the unique journey that leads to this Caprice being positioned here on a windy spring morning. 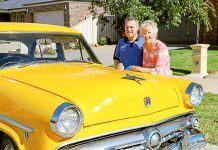 I was extremely grateful for the storytelling skills of the owner of the car, Peter Russell, for carefully explaining to me the vehicles extended journey from Hong Kong to Australia. An ex-journalist himself, Mr Russell weaves a labyrinthine and lengthy tale on the Caprice’s interesting past. 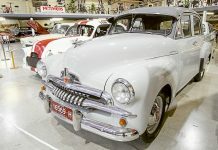 “This Holden Caprice is the last of the marque to be supplied to the Australian Embassy in Hong Kong, for use by the consul general,” he said. 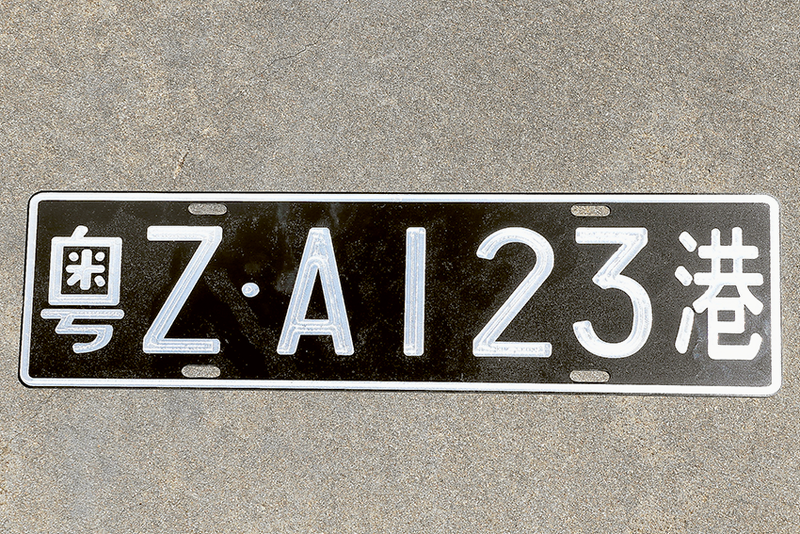 “It landed in Hong Kong in 1995, where it was used for four years as the primary transport for the chief of the embassy. I listened attentively and took note of the significance of this Caprice in Hong Kong at this particular time; witness to one of the most significant events in modern history. No doubt! And I can visualise it now as I’m positioned in the back seat admiring the Caprice’s interior. I imagined myself as John Howard frantically bouncing around the bustling, busy streets of Beijing. 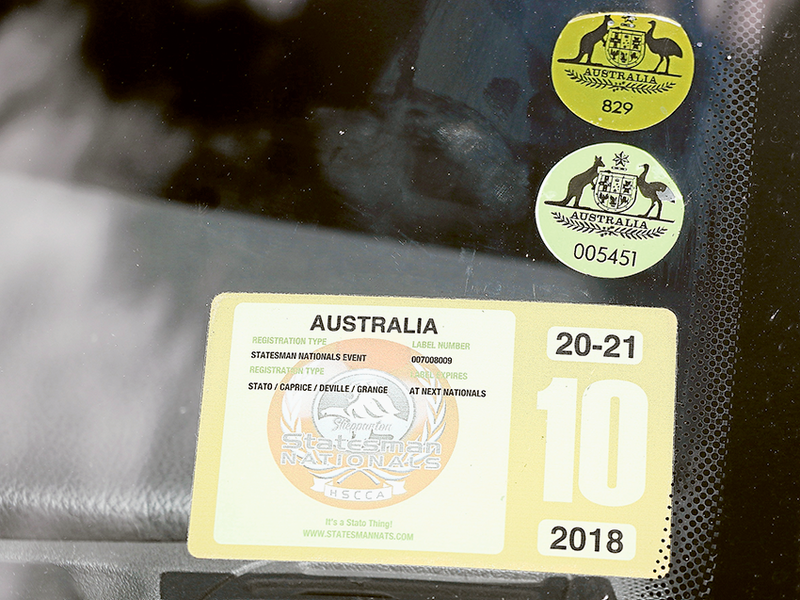 Back outside the vehicle and Mr Russell shifts my attention to a few other minor details specific to his prized ex-embassy car: there’s a neat little Mandarin language warning on the filler cap, which reads “UNLEADED ONLY” and a couple of gorgeous diplomatic stickers on the windscreen. “Eventually, a diplomat who had worked at the embassy some years previously bid on the car when it reached its end of life. 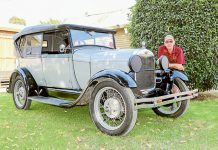 The Caprice was then shipped back to Canberra, where it lived in the role of a family vehicle for 17 years. However, for 11 of those years, the vehicle was in storage, on blocks and undercover,” he explained. Peter Russell is the third owner of the Caprice and you can see him proudly driving around the region and also displaying the car at club events.